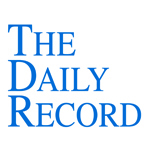 This week's Daily Record column is entitled "Use Social Media to Network, Build Relationships." As I mentioned previously, over the next few weeks I’m going to address the different goals lawyers can achieve using social media. In each column, I’ll focus on a specific goal and explain how effective interaction on social media plat- forms can assist in reaching that goal. This week I’ll share how lawyers can use social media platforms to increase both their personal and professional networks. At the outset, it’s important to note that social media interactions are not a replacement for face- to-face connections. Rather, social media extends your reach and supplements traditional networking opportunities. When deciding where to focus your social media efforts, it is important to determine who you’d like to meet. If you’re primarily hoping to interact with poten- tial clients, then you need to choose social media sites where your clients will be. Likewise, if you’d like to increase your professional connections, choose sites that other lawyers frequent. So, for example, if you’re hoping to network with small business owners in your region, LinkedIn may be the ideal platform. Join the LinkedIn groups to which they belong. Contribute to the conversation, provide useful information and get to know other group members. Once a few online connections have been made, move the online relationship offline. Meet another group member for lunch or coffee, or take the initiative and arrange an offline group gathering, such as drinks after work one evening. If your goal is to expand your professional network by meeting other attorneys, Twitter is a good platform to consider since it’s one of the least formal social networks. The sense of informality makes it easier for lawyers to “let their hair down” and share their interests and hobbies. After a few weeks of inter- acting with other lawyers on Twitter, you generally have a good sense of their personality and quickly develop a sense of camaraderie with those of similar ilk. 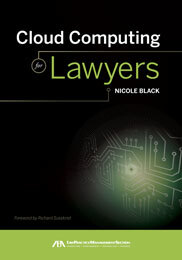 Lawyers on Twitter tend to flock together by areas of practice,sharing links to information and news relevant to their col- leagues, discussing recent holdings, venting about daily frustrations or trumpeting their courtroom victories. After a few months of interacting with fellow lawyers from across the country, you truly will feel a sense of camaraderie with your Twitter friends. From there, it’s a simple step to suggest dinner or coffee when you happen to be visiting in their neck of the woods. Whether your goal is to network with potential clients or with other lawyers, it’s important to realize that one of the keys to effective networking is to share a little bit about yourself. Let your hair down — take off your lawyer hat! Interact and converse, rather than merely broadcast and boast. Don’t be afraid to share both your personal and professional interests. Doing so humanizes you and makes you appear more approachable to both potential clients and other attorneys. Of course your level of participation and interaction will vary from one platform to next. Each social media platform has its own level of formality, with LinkedIn being more formal and Facebook and Twitter less so. No matter which platform you choose, the key to effective participation is to be genuine and transparent. Provide useful, relevant information to your connections no matter what the context. The bottom line — social media can be a great way to expand your personal and professional networks. Simply choose your social media platforms with your networking goals in mind, interact and share with other users, then move the online relationships offline. Of course social media can’t replace face-to-face networking — but it’s a wonderful and flexible way to supplement more traditional methods.